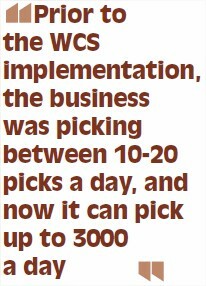 To offer customers a complete real-time view, Haul & Store needed to invest in a warehouse management system, and the solution from WCS suited their needs perfectly. Haul & Store is an SME with around 10 employees. Created in 2015, the business was started by logistics specialists Daryl Evans, Hamilton Butcher and Neil Burden. Having spent time within large organisations heading up logistics teams, Haul & Store felt compelled to create a 3pl business that would offer customers a truly integrated view of their supply chain. Having experienced poor service with their own 3pl suppliers while working in house, the team were dedicated to using technology to frame on offering that would give their customers real-time visibility of their supply chain. In 2015, the company was formed with a secure purpose-built warehouse facility of 2000 sq ft that offers ambient warehouse conditions, bulk storage, pallet storage and single item storage. Within 10 months, the business was exceeding a £2m turnover and continues to grow.